Questions about PDF Compressor. Is there a way to compresses/convert color PDF files to black and white PDF files? We are looking at PDF Compressor and trying to figure out whether we need the command line version or the SDK version. 1) Do you have any documentation regarding the SDK and how it works? 2) Is the SDK compatible with VBA (MS Access)? Any information you can provide regarding the SDK version would be helpful. 1. Is there a way to compresses/convert color PDF to B/W ? 2. Is there a way to skip already compressed files. When we try to compress a PDF that is already compressed using JPX, it comes out unreadable. >>1) Do you have any documentation regarding the SDK and how it works? >>2) Is the SDK compatible with VBA (MS Access) ? Yes, the SDK does compatible with VBA (MS Access). >>Any information you can provide regarding the SDK version would be helpful. You can call PDFCompressCom.exe COM component from your VB, VC, C#, VB.NET, ASP.NET, Delphi, etc. source code easily. Dim strInFile As String = strFolderDir & "\sample\test-color-image.pdf"
Dim strOutFile As String = strFolderDir & "\sample\test-color-image_out.pdf"
Dim strCmd As String = "-ci jpx -cidown -cidownres 150 -gi jpx -gidown -gidownres 150 -mi jbig2 -midown -midownres 150 " & strLicenseKey & " """ & strInFile & """ """ & strOutFile & """"
>>1. Is there a way to compresses/convert color PDF to B/W ? 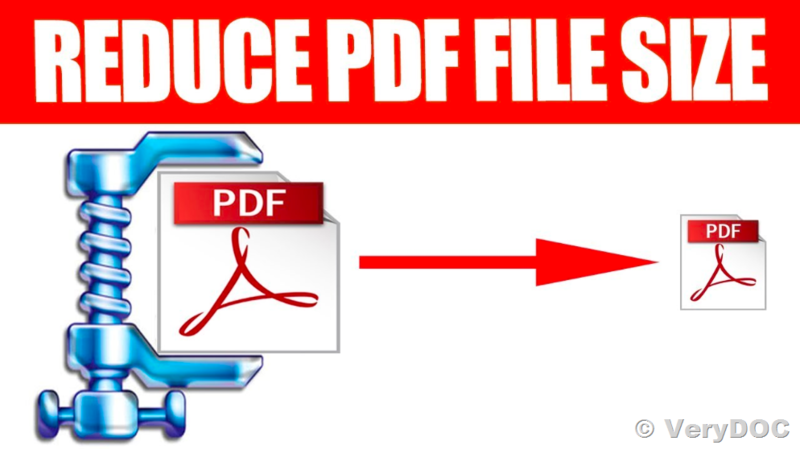 Sorry, PDF Compressor Command Line and SDK can't convert from color PDF files to B/W PDF files, it will keep the same color depth from source PDF files to compressed PDF files. However, if you wish to converted from color PDF files to B/W PDF files, we can add this function to you at additional development cost, if you are interest in this function, please feel free to let us know. >>2. Is there a way to skip already compressed files. When we try to compress a PDF that is already compressed using JPX, it comes out unreadable. Sorry, PDF Compressor Command Line and SDK can't skip already compressed files yet, however, if this function is important to you, we can add this function to you at additional development cost, if you are interest in this function, please feel free to let us know. 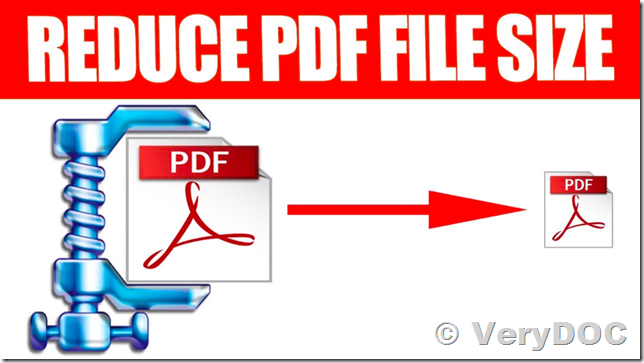 How to convert from PCL files to PDF/A files? We are planning to convert a huge archive of PCL files to PDF/A. Do your company offer any products that may help transforming the PCL files to PDF/A ? pdf2pdfa.exe -mode 2 "sample1.pdf" "_sample1-pdfa.pdf"
pdf2pdfa.exe -mode 2 "sample2.pdf" "_sample2-pdfa.pdf"
pdf2pdfa.exe -mode 2 "sample3.pdf" "_sample3-pdfa.pdf"
pdf2pdfa.exe -mode 2 "sample4.pdf" "_sample4-pdfa.pdf"
pdf2pdfa.exe -mode 2 "sample5.pdf" "_sample5-pdfa.pdf"
pdf2pdfa.exe -mode 2 "sample6.pdf" "_sample6-pdfa.pdf"
pdf2pdfa.exe -mode 2 "sample7.pdf" "_sample7-pdfa.pdf"
We hope above two software will work fine to you, you may download and use them to convert from PCL files to PDF/A files easily. 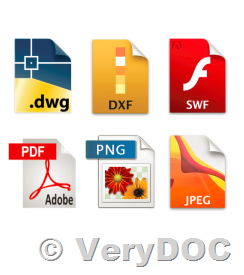 In one of my web application I want to view files with extension .dwf, .dwg and .dwfx in browser. Please let me know if you offer a solution for it. Also I want to know if you can provide a solution to convert .dwf, .dwg and .dwfx files to .swf file. I went through your following blog post and thought you can offer the solution. If you encounter any problem with above command lines, please feel free to let us know. VeryDOC DWG to Flash Converter, Faster than ever! DWG to Flash Converter is to create animation of DWG/DXF files. 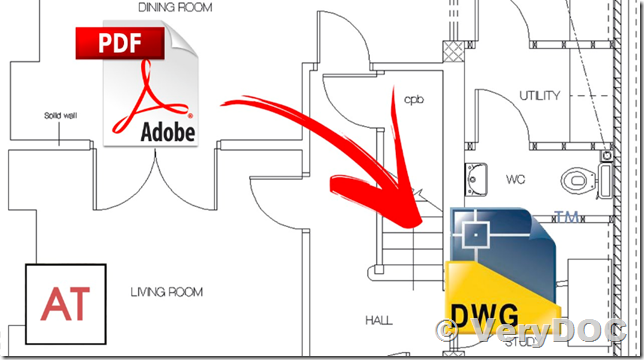 DWG to Flash converter makes it easy to share and publish AutoCAD drawings on web. AutoCAD version from R9 to 2018 is supported. Additional viewer or plug-in is not needed to view Flash. This converter remains vector image, details of drawing are well-preserved. Designed for sharing and publishing AutoCAD DWG files online. A Flash mapping tool for authors. What is generating Flash files for? 2. Remain vector image, details of drawing are well-preserved. 3. Easier publishing online than PDF, DWF and image file, for image cannot be resized, PDF requires Adobe Reader and DWF is introduced by Autodesk for which DWF viewer is needed. DWG to Flash converter is for DWG/DXF to Flash conversion and easy to use. It is a stand-alone converter and requires no Autodesk software. With the help of another member on here, I was able to make two scripts: one converts a PDF to XPS and the other XPS to PDF using a workflow. When combining them into one script, the first workflow converts the file to XPS, however, the second workflow doesn't seem to work at the appropriate time or at all. There are some cleanup items at the end of the second workflow that do seem to be working properly. Can I delay the start of the second workflow somehow to start at the appropriate time? Thanks in advanced! The other question can be found here Print PDF to XPS using PowerShell. 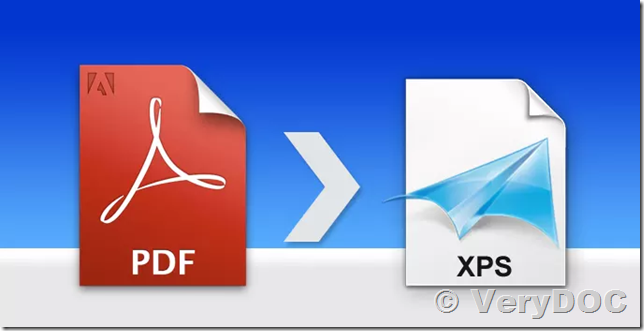 This can be done easily, you can use VeryDOC XPS to PDF Converter Command Line to convert from XPS file to PDF file, and then use VeryDOC PDF to Vector Converter Command Line to convert from PDF file back to XPS format, you can convert from XPS to PDF and PDF to XPS from command line, you can also call them from a script to do the batch conversion. for /r D:\test %F in (*.xps) do "pdf2vec.exe" "%F" "%~dpnF.xps"
for %F IN (D:\test\*.xps) DO "pdf2vec.exe" "%F" "%~dpnF.xps"